Weather permitting, music will be outside -- bring a blanket or chair. $5.00 cover. Music from 7:00 to 10:00 pm. Food vendor from 6:30 to 8:30 pm. 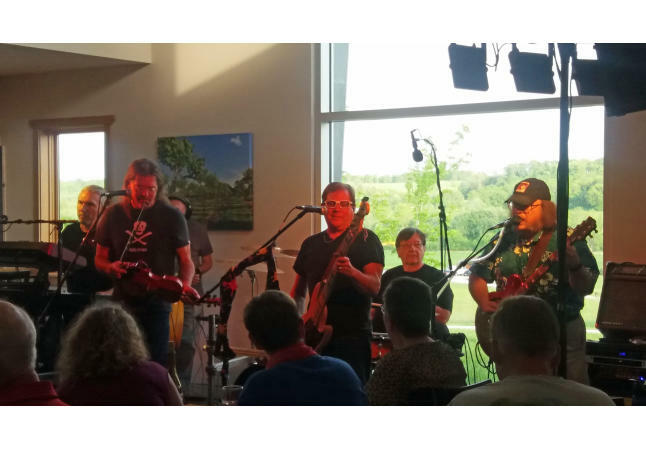 The Sons of Gladys Kravitz play the very best classic rock music from the 1960's to the present, as well as some country and contemporary Irish music. 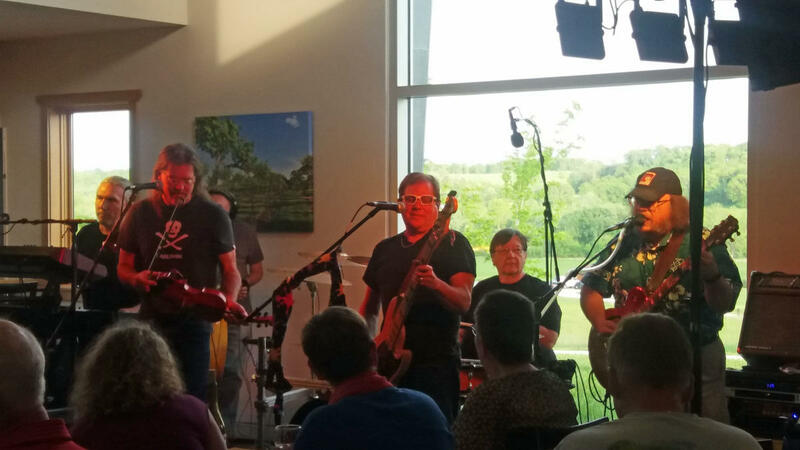 Their aim is to play popular songs from the classic rock era that are not played by other local bands, so that the audience can have a uniquely enjoyable listening and dancing experience.